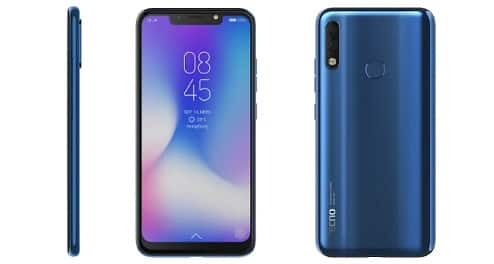 This is the fourth smartphone of the Techno Caman AI series, last month the company launched Tecno Camon iAir2 +, Camon i2 and Camon i2X in India. Tecno Camon Iclick2 has been launched in India. Talk about the major features of Techno Caman Eyeclick 2, it has 3,750 mAh battery and dual-volt support. Nokia Design, Vertical Dual Rear Camera Setup with 19:9 Display. One year free screen replacement with Tecno Camon Iclick2 will come with 100 days free replacement and one month extended warranty. The price of Tecno Camon Iclick2 in India is 13,499 rupees. At this price, you will get 4 GB RAM / 64GB inbuilt storage variants. Smartphones Aqua Blue, Midnight Black, and Hawaii Blue will get 35,000 in three colors at the Offline Retail Store. For better performance, Tecno Camon Iclick2 has a 4 GB RAM with the Octa-Core MediaTek Helio P22 processor. This handset runs on the Android 8.1 OS operating system and HiOS 4.1 Sion. This smartphone comes with 64 GB inbuilt storage, which can be expanded up to 128 GB with the help of MicroSD card. There is a 3,750 mAh battery for power backup. The Dual-SIM Techno Caman IKLIC 2 will have a 6.2-inch HD + Super FullView display, which has an aspect ratio of 19: 9. Techno Caman Eyeclick 2 has two rear cameras, Primary sensor 13 megapixels, and Secondary sensor 5 megapixels. A 24-megapixel front camera is provided for selfie and video calling. The front camera sensor comes with the Apchatar F / 2.0. Tecno’s thickness of this handset is 7.8 millimeters and weighing 145 grams. The screen-to-body ratio is 88 percent. For connectivity, it has been given 4G volts, WiFi, Bluetooth, GPS, Micro-USB, and 3.5mm headphone jack.